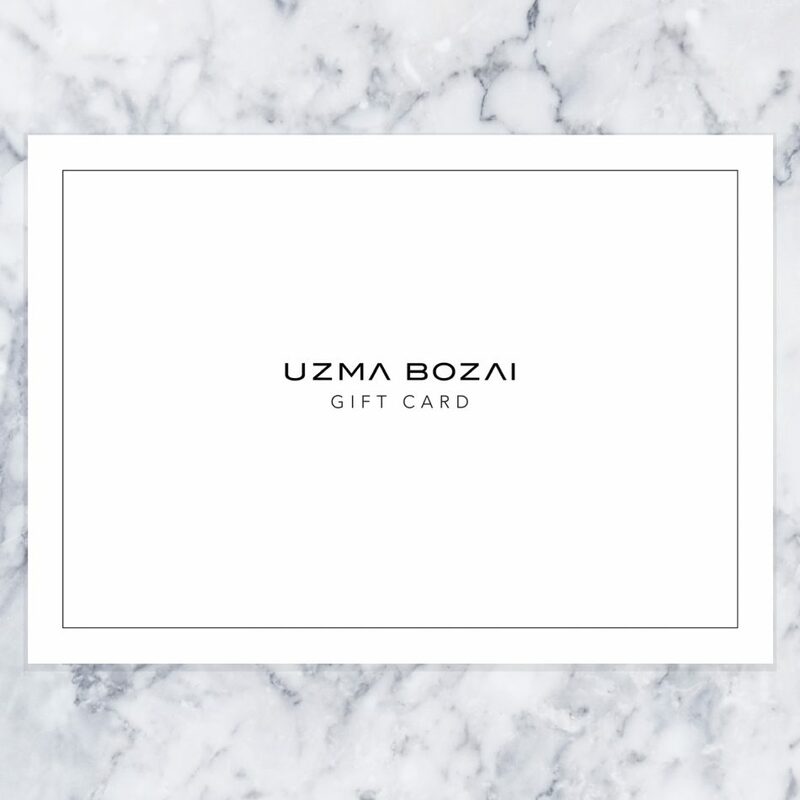 Offering our very own Uzma Bozai gift cards to the value of your choice starting from £50. Valid for up to 12 months from date of issue. 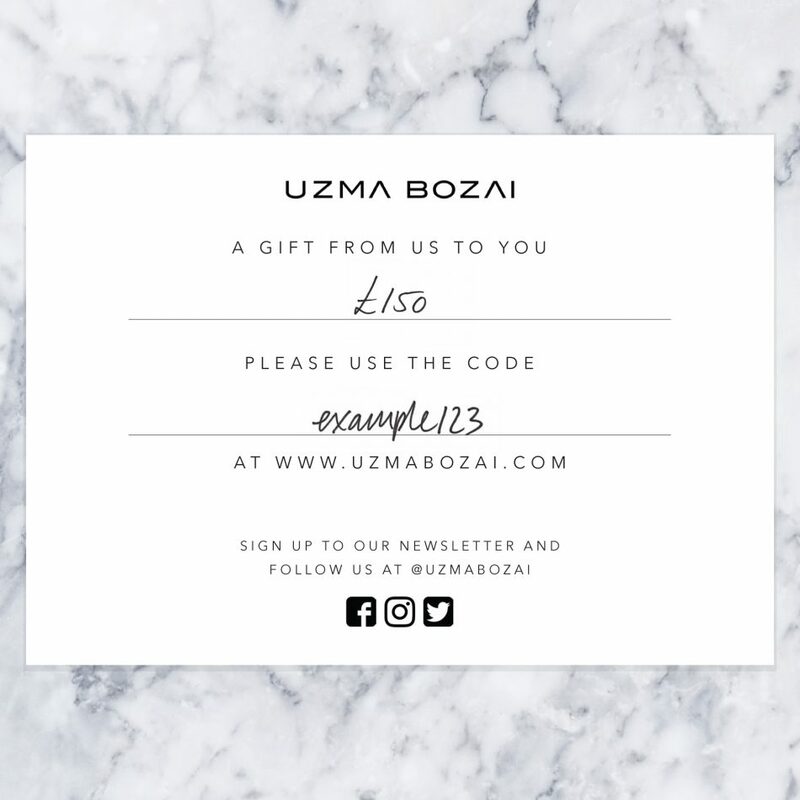 Vouchers are gift wrapped and presented in a gift box and redeemable at www.uzmabozai.com . Designed for that perfect present.